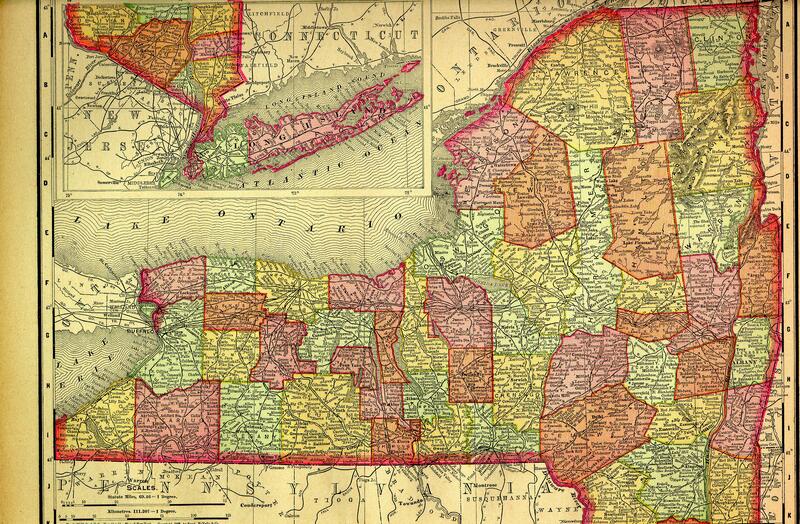 New York was formed as a state on July 26, 1788. The capital of New York is Albany. The largest city is New York. The links directory provides suggestions for a variety of websites to assist in your family history and genealogy research. A Geographical History of the State of New York (1851)-Embracing its History, Goverment, Physical Features, Climate, Geology, Mineralogy, Botany, Zoology, Education, Internal Improvements, &c.
Civil War: U.S. Civil War Regimental Histories in the Library of Congress-New York, U.S.A.
wnybooks.com-Official Site for Western New York Wares, Inc.